Seventeen months after Jose popped the question on the other side of the world, 250 guests gathered to witness the grooms tie the knot at their seaside venue in San Diego. Silver chairs adorned with the couple’s first initials rested underneath tents comprised of shear white linen. 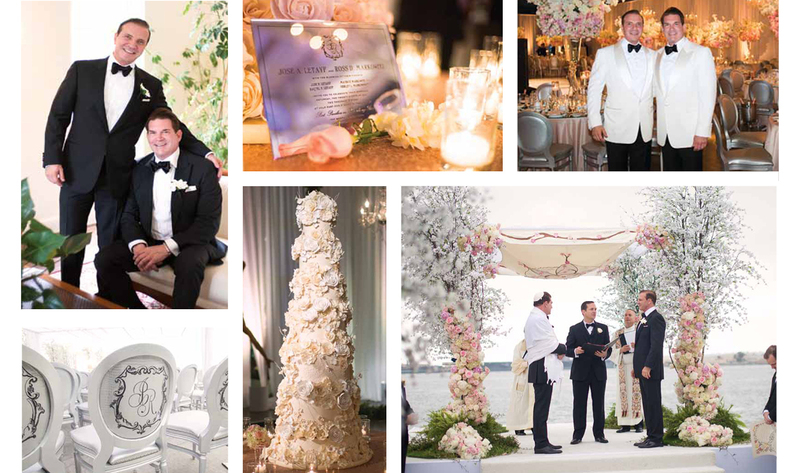 To the grooms, their nuptials were the perfect expression of time-honored customs, modern flair, and guest consideration. Featuring Jose & Ross‘s deluxe invitation!